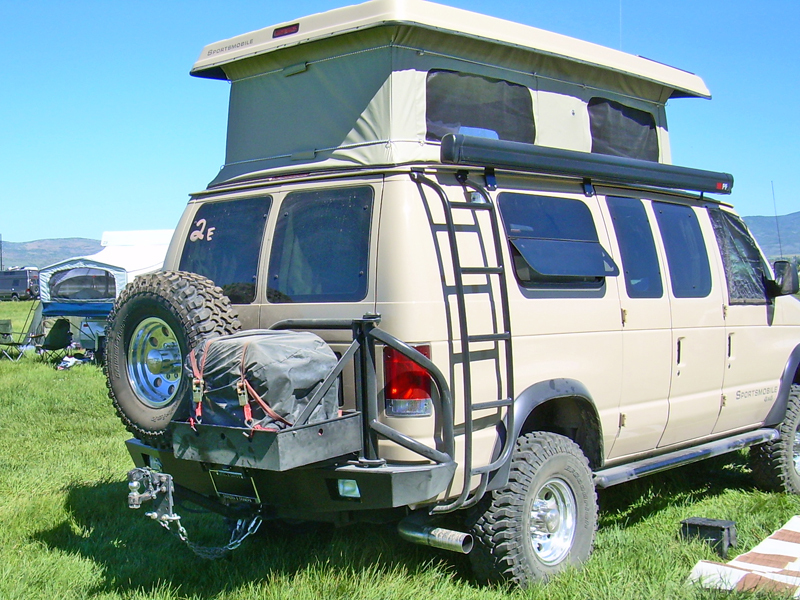 We are transitioning our swing arms to square tubing for additional strength. 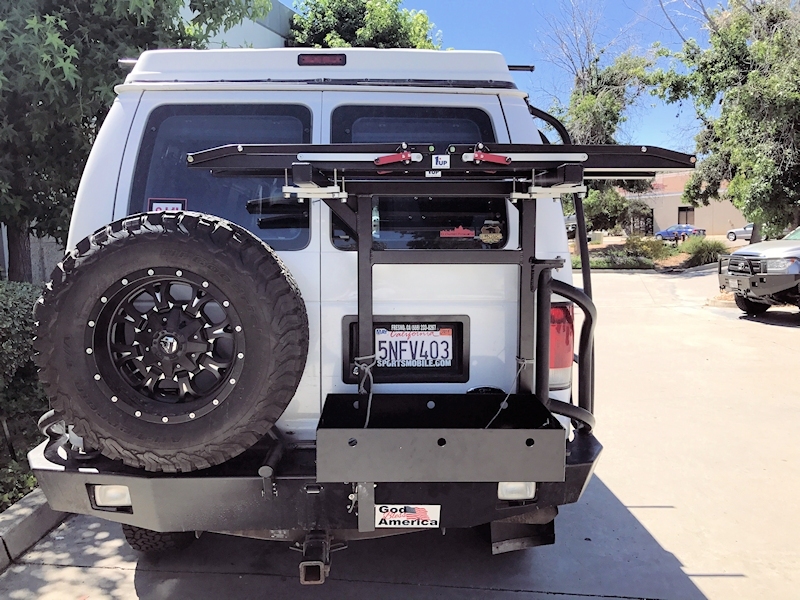 This new swing arm will also utilize a new universal tire mount which will allow users to adjust for different size tires and bolt patterns without welding new brackets to their swing arm. 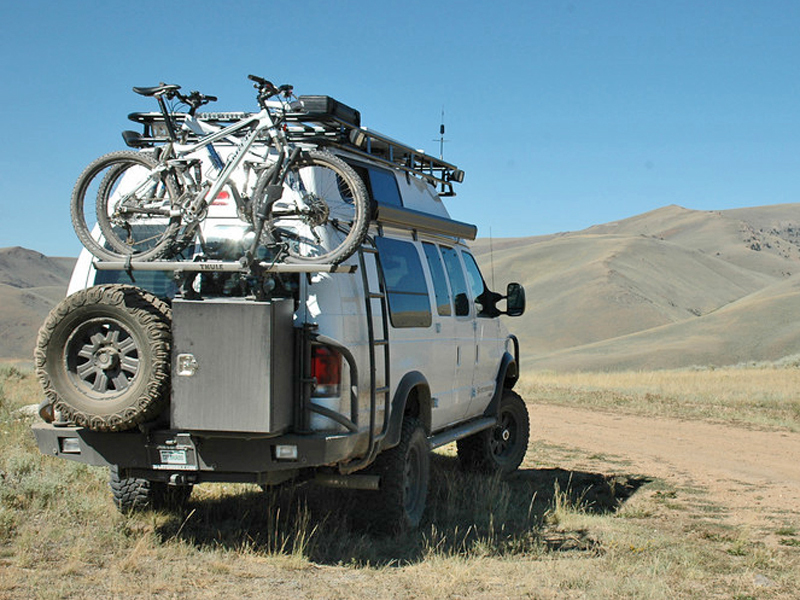 If you have any questions about this transition please let us know. 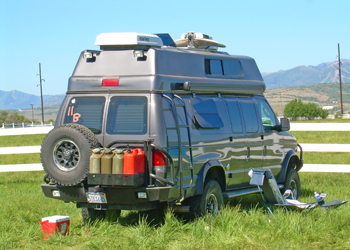 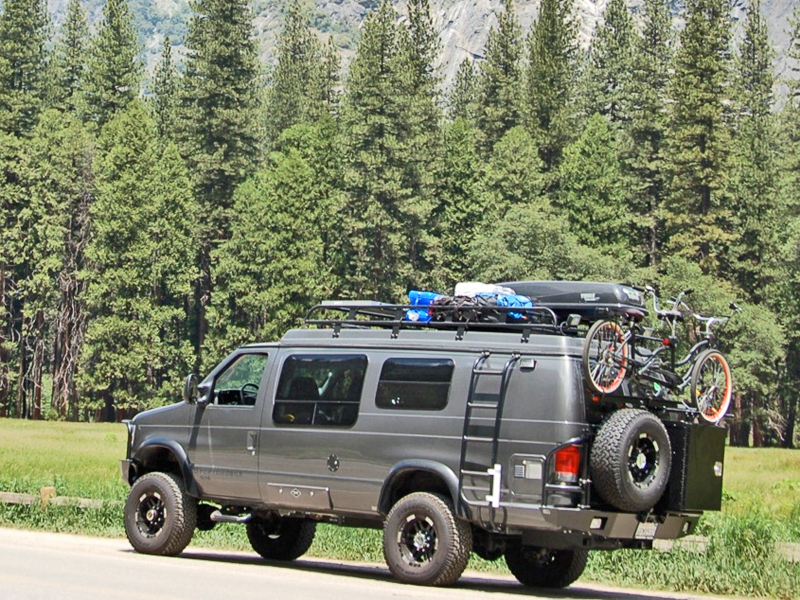 Storage is a premium when converting a van into your home away from home. 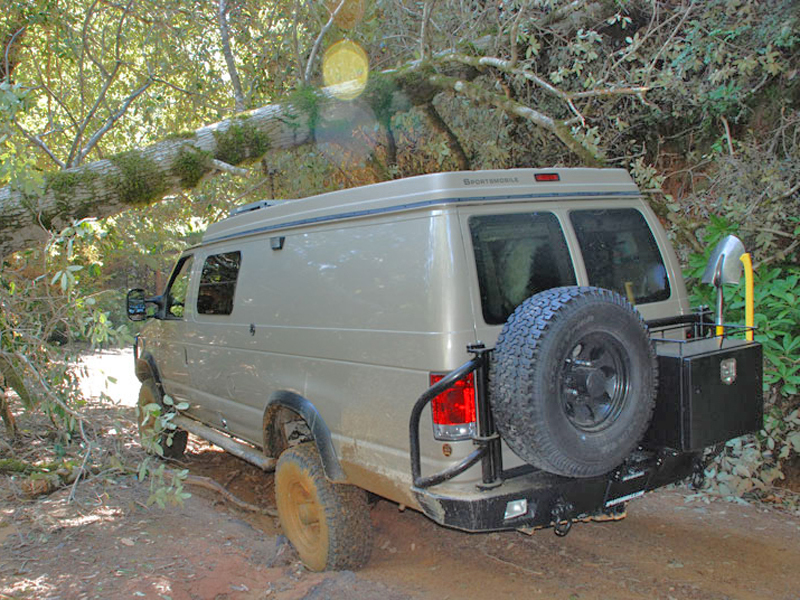 If your Ford Econoline is a 4×4, then you also have to compete with a tire that no longer fits underneath your van. 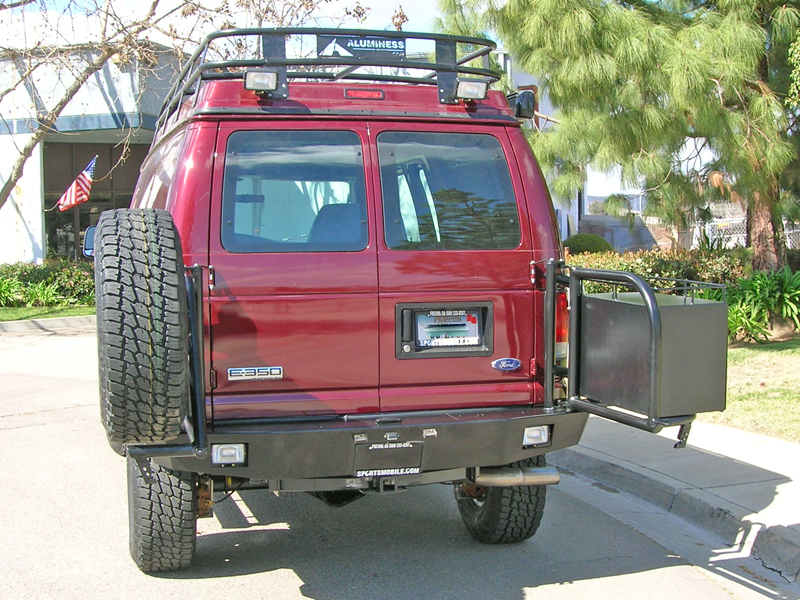 The solution is an Aluminess off road rear bumper equipped with the spare tire carrier and the box swing arm. 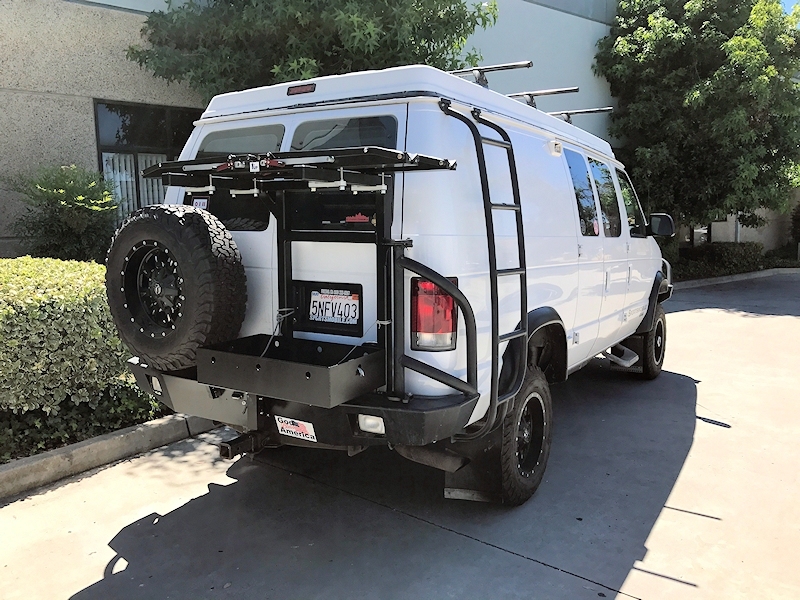 With 2 swing arms to hold your spare tire and a storage box, you will now have more room for the essentials to put inside your Econoline. 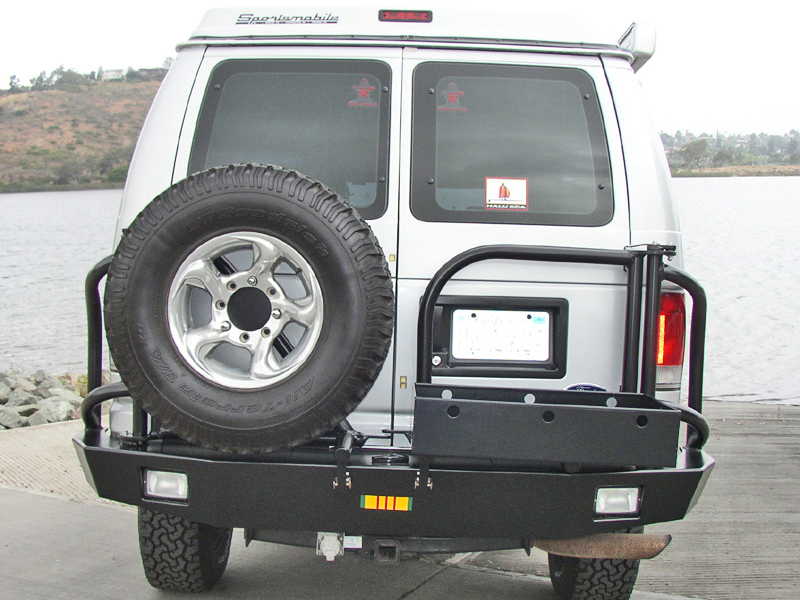 In most cases, any of our boxes will work on the swing arm; whether it’s extra fuel, a generator, or recovery gear that you need, your Aluminess rear bumper is there to save the day.